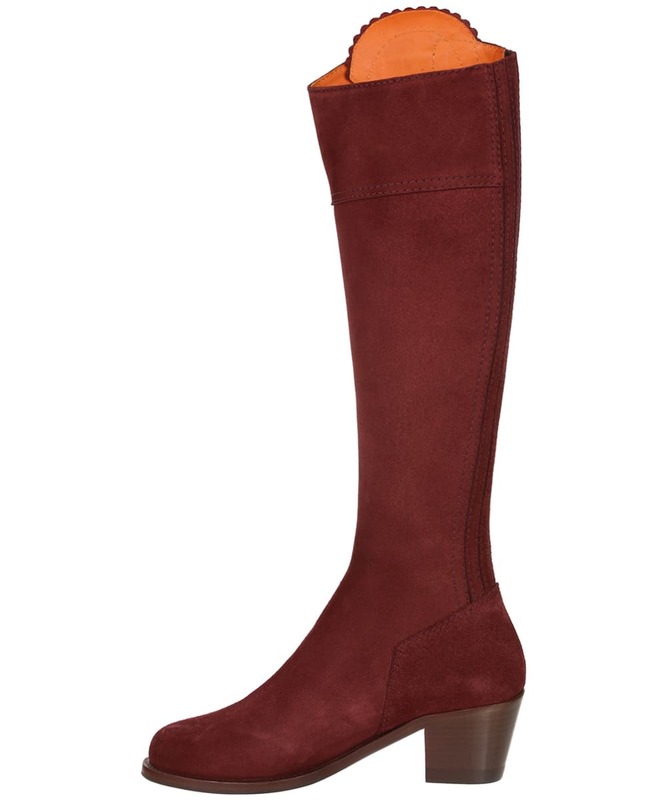 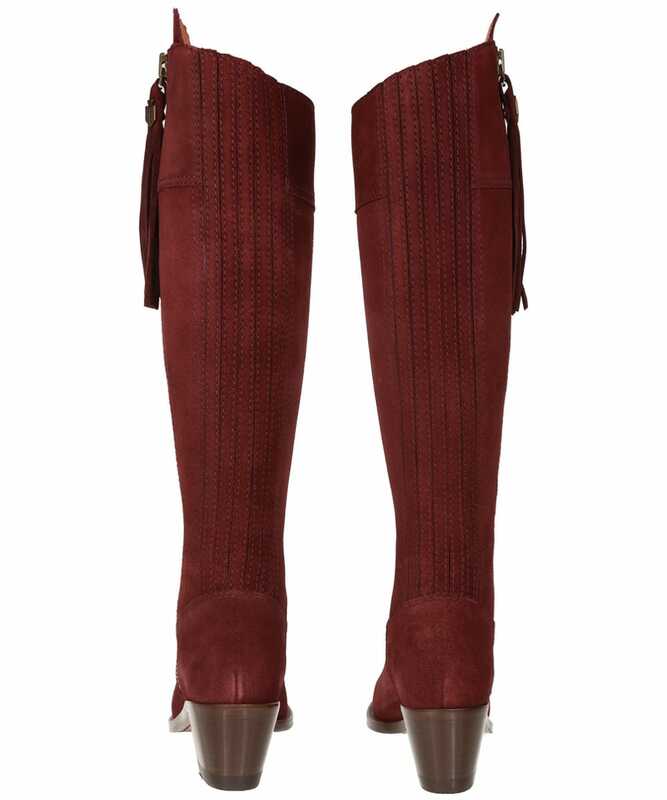 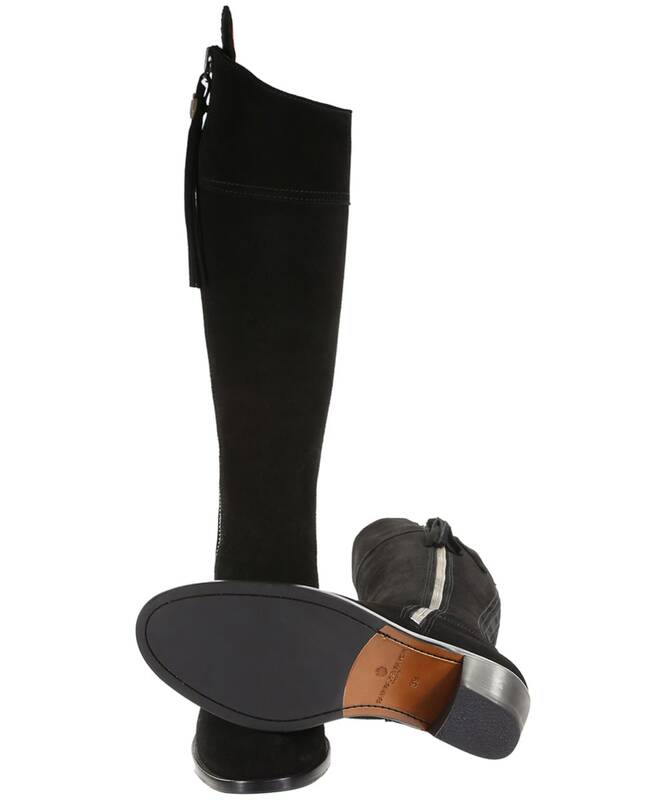 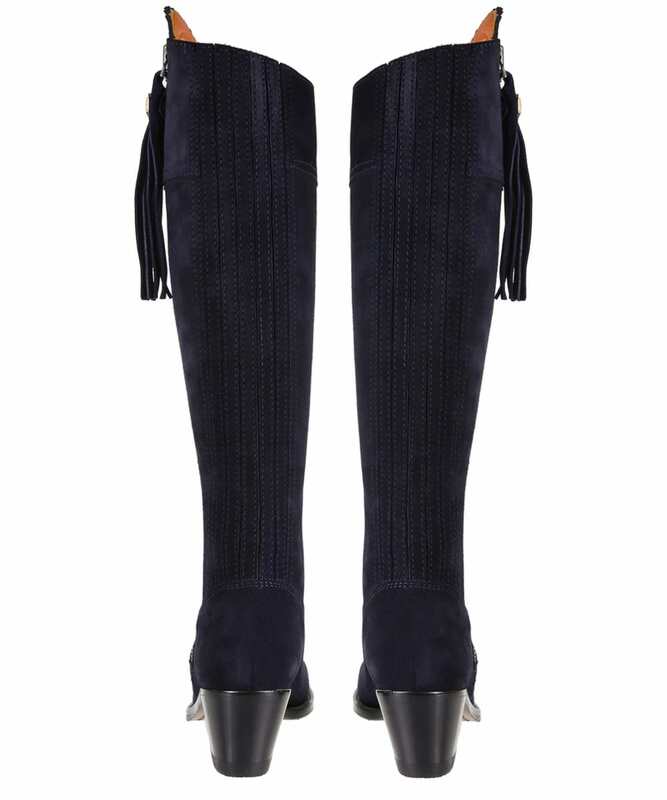 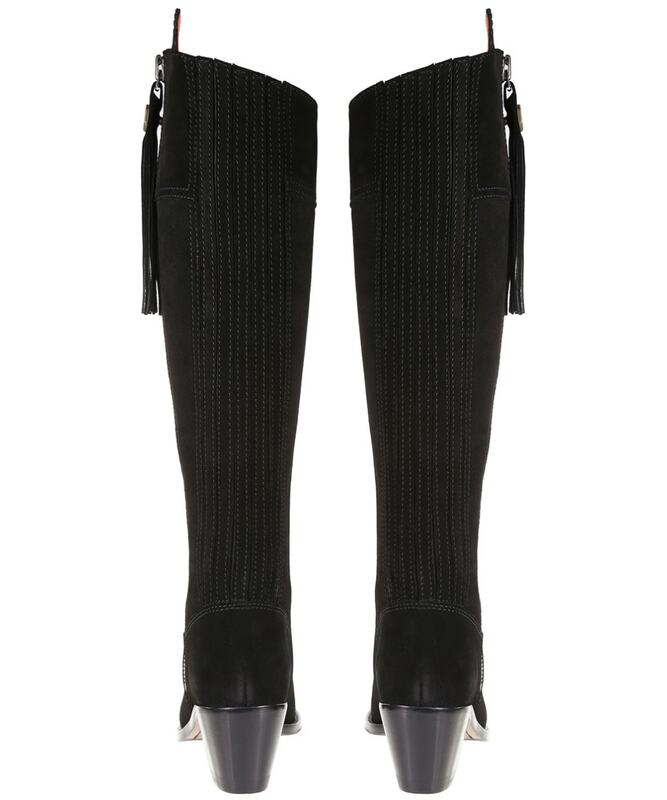 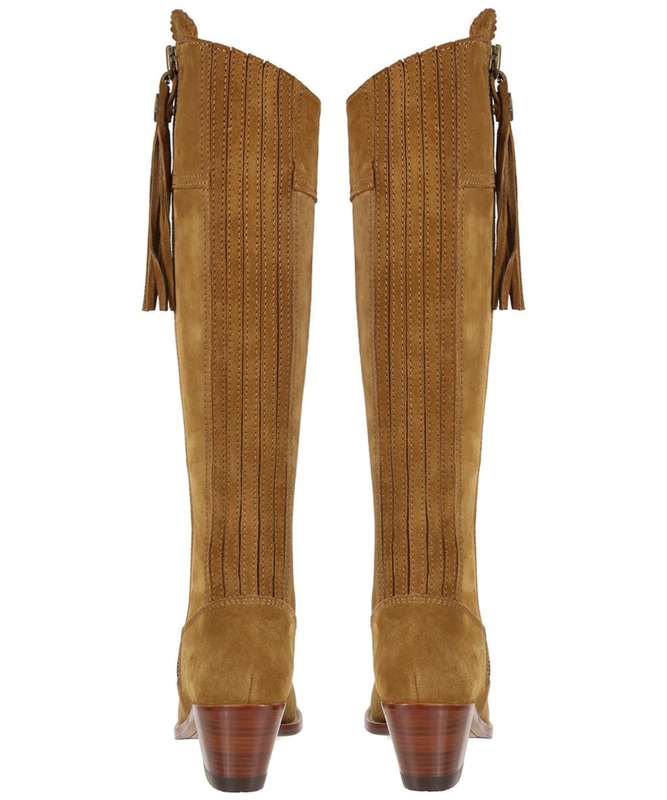 The ultimate in countryside luxury, these Fairfax & Favor Regina Heeld Boots are the perfect accompaniment to any stylish lady's wardrobe. 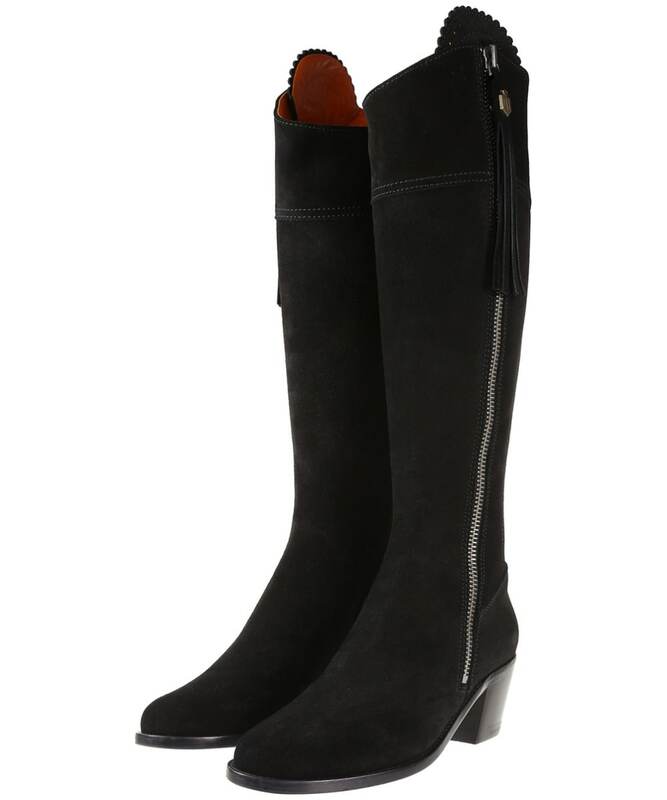 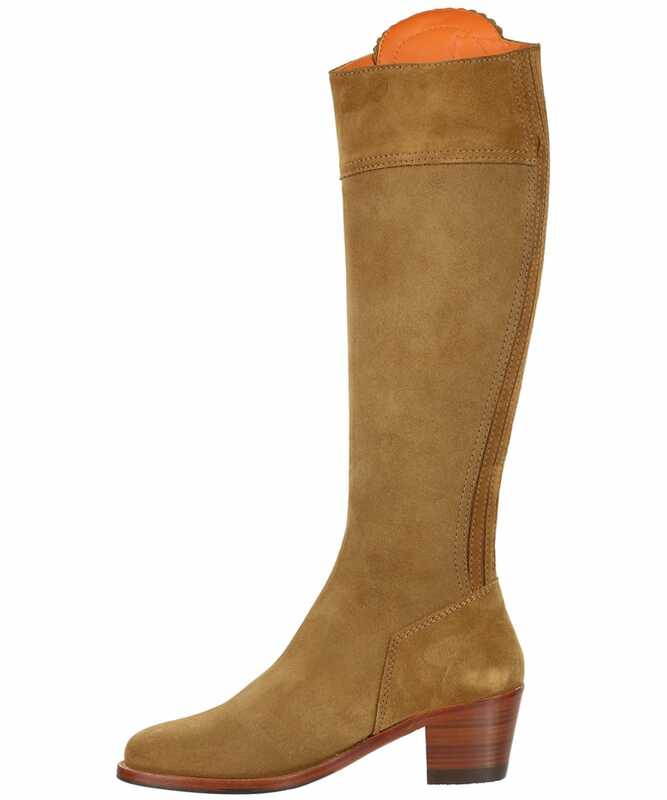 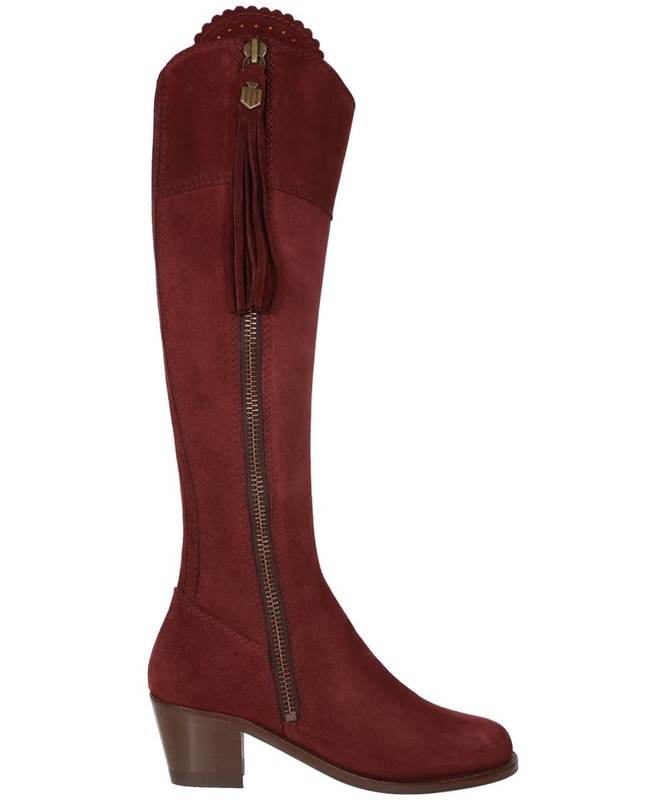 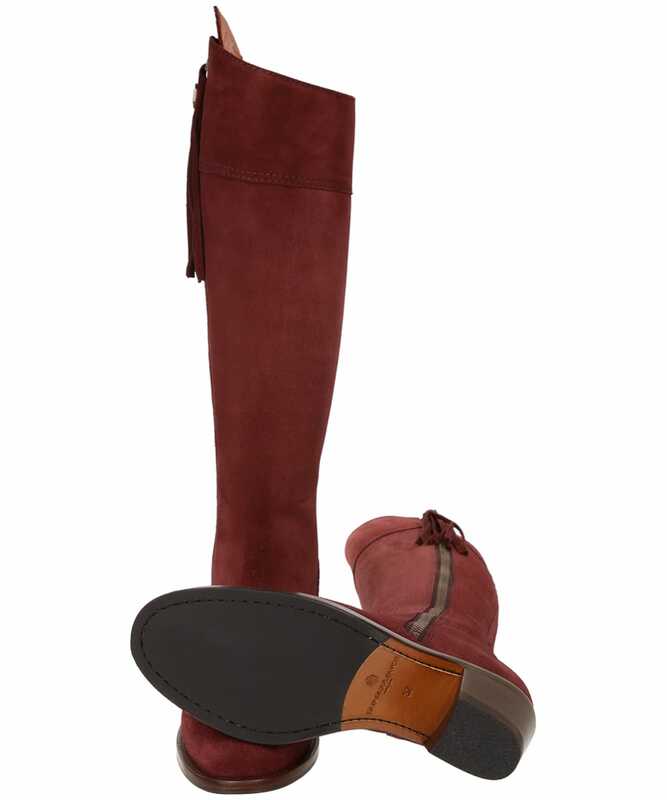 Crafted from supple suede, the knee-length, fitted design of the Regina boots is utterly timeless, with the round toe and unique scalloped top showcasing a feminine finish that you are sure to love. 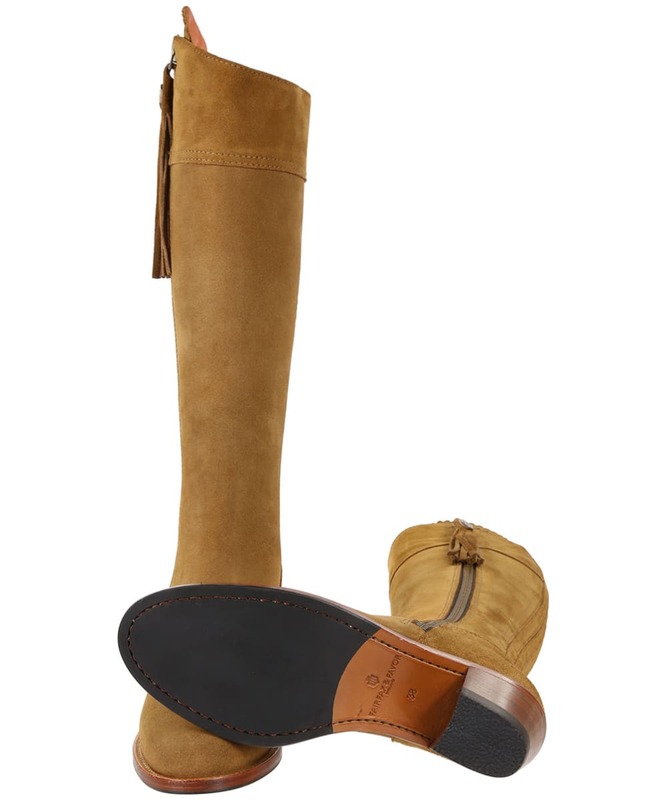 With a flattering, 5cm stacked heel, these Fairfax & Favor boots bridge the gap between smart and casual, taking you from town to country in next to no time without compromising on comfort or effortless style. 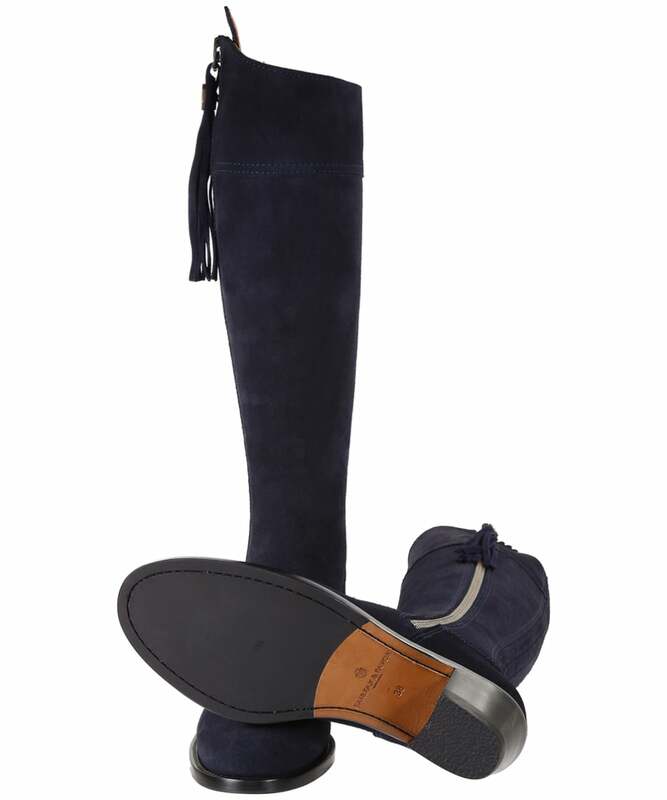 For your comfort, and to ensure the versatility of the boot, the Regina boots come complete with a tonal, elasticated panel to the back of the boot, to offer a perfect fit and allow jeans and leggings to be tucked into the boots with ease. 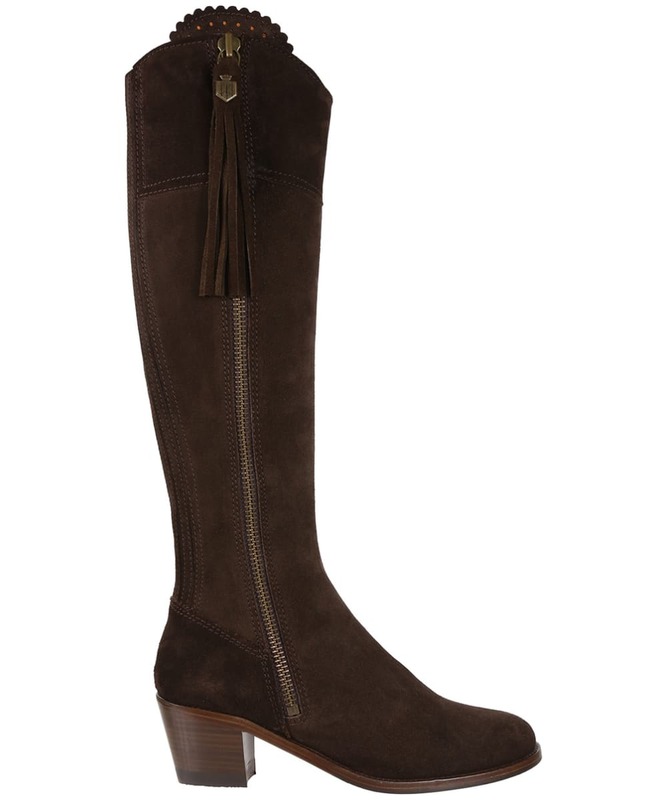 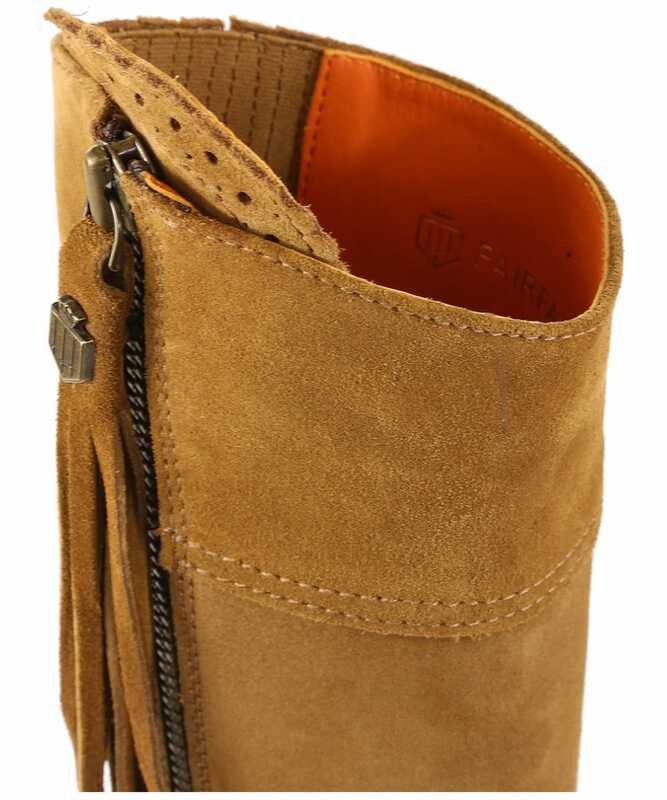 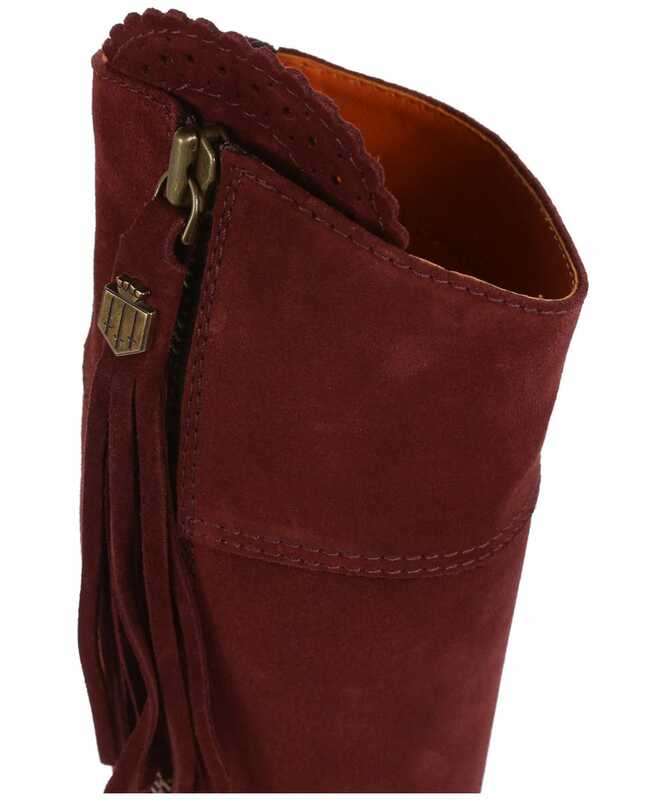 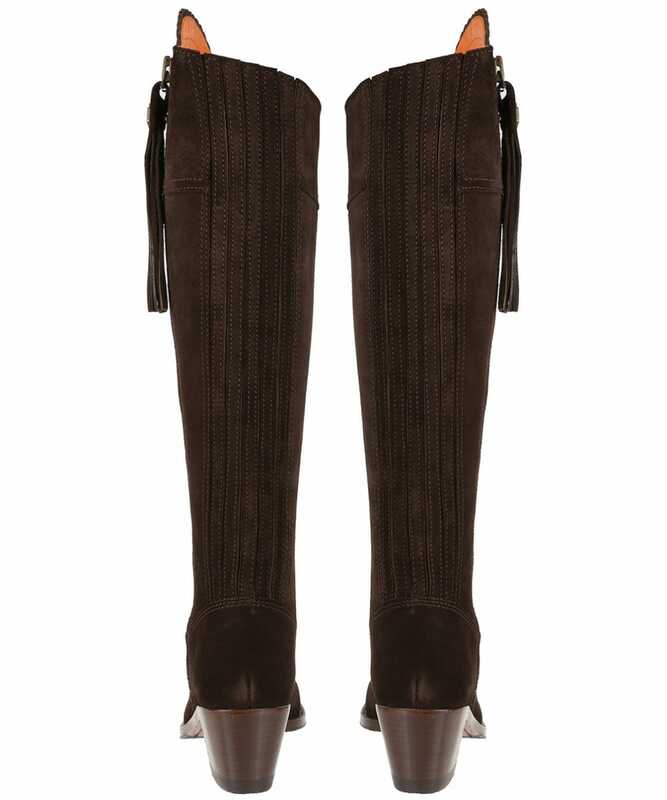 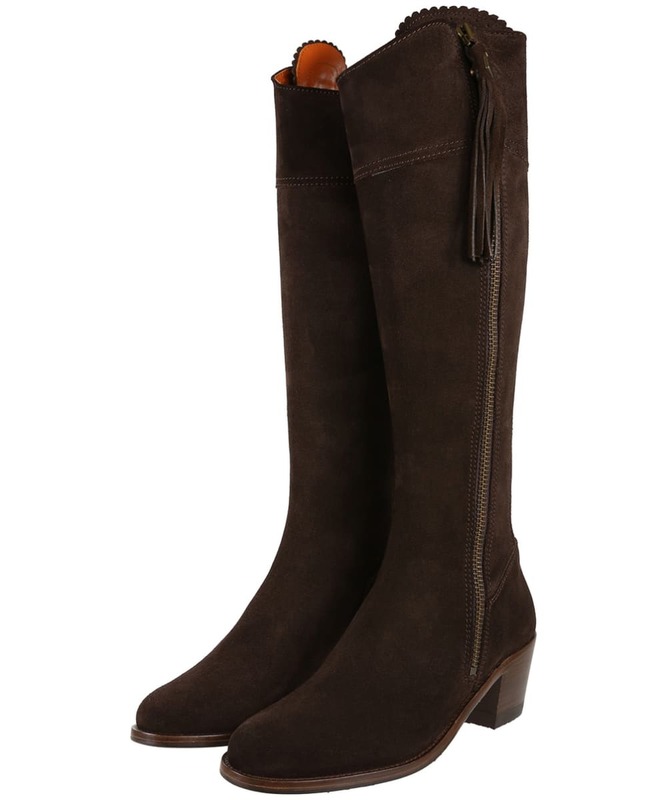 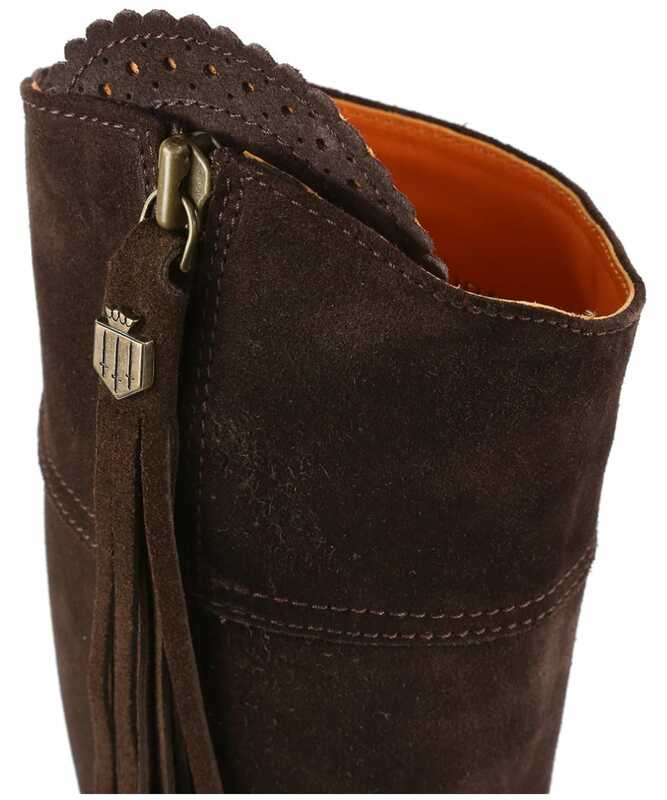 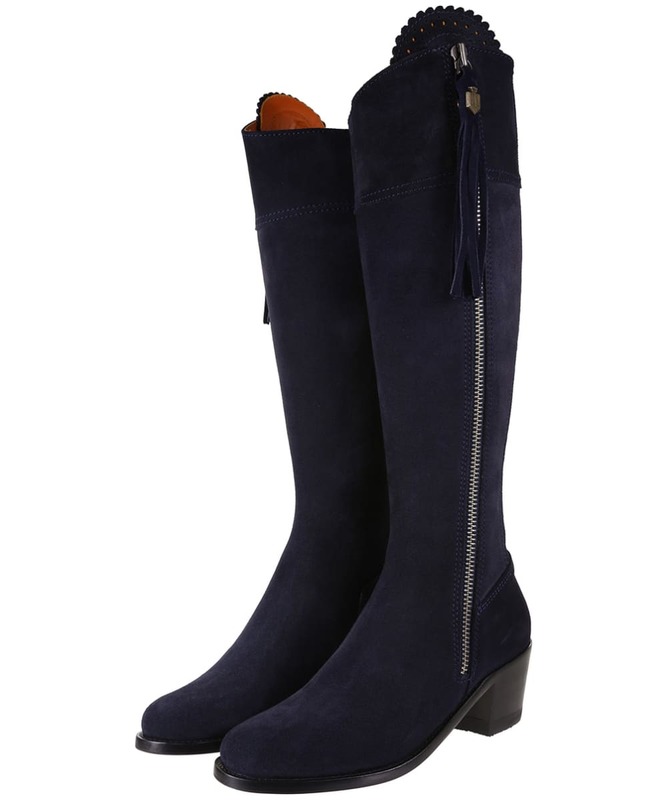 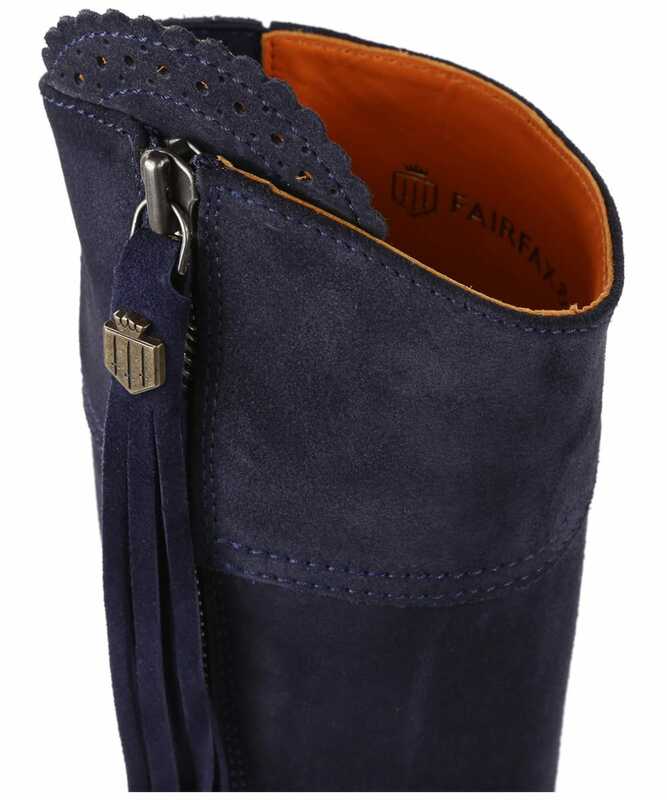 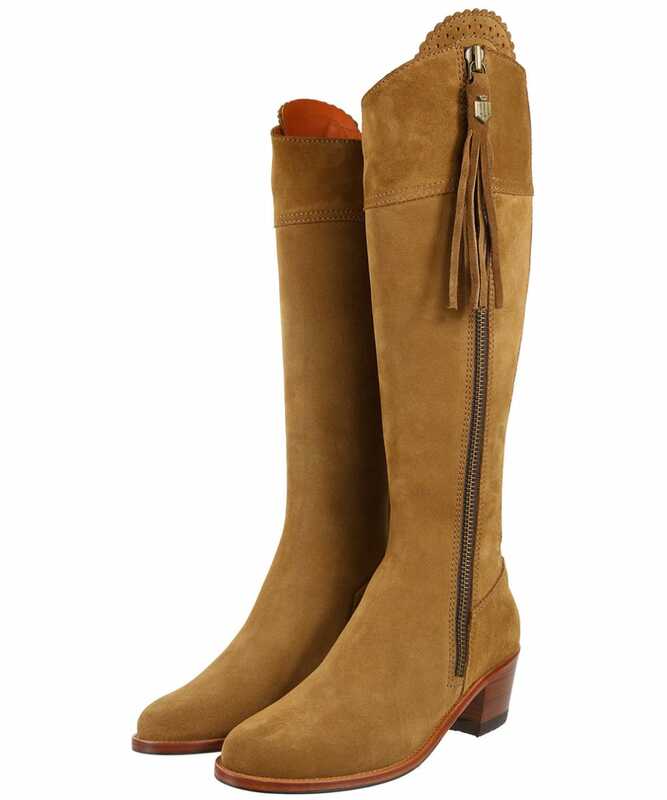 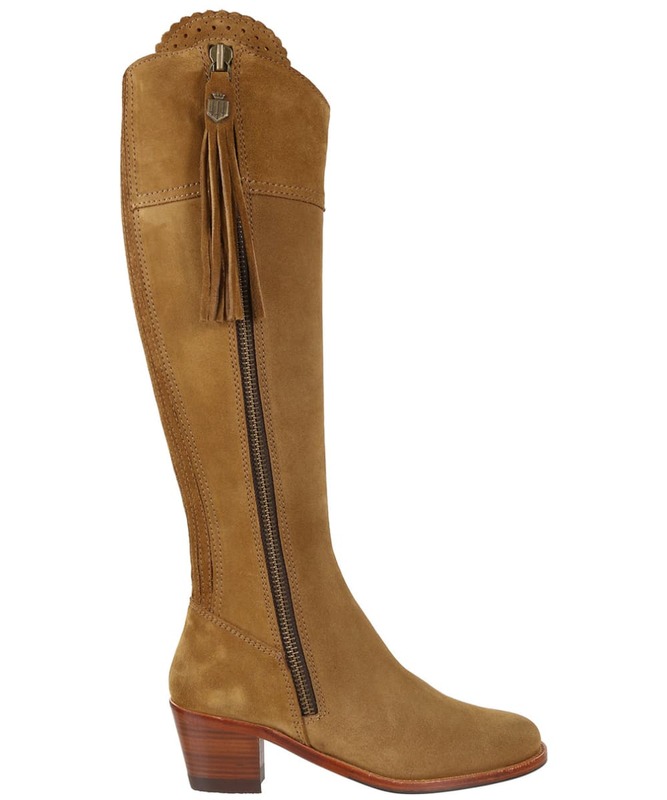 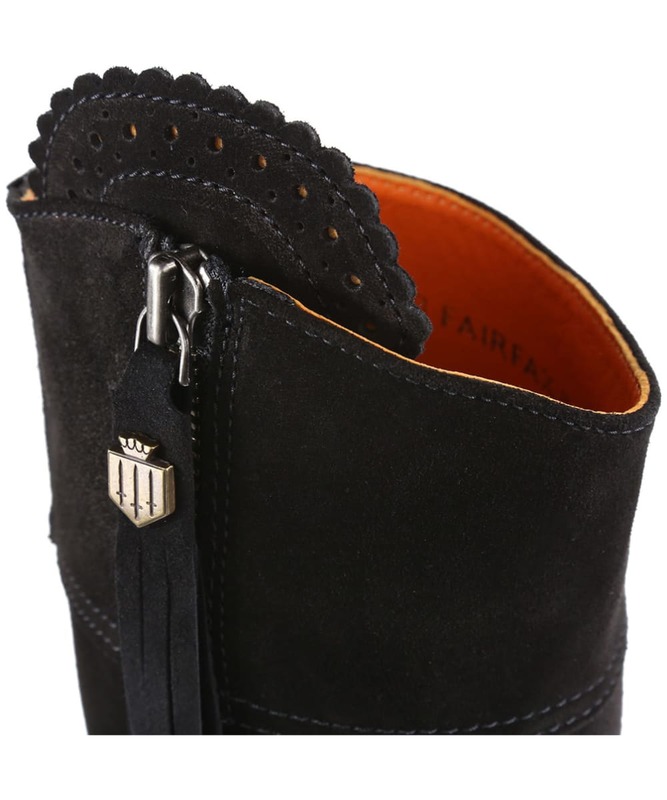 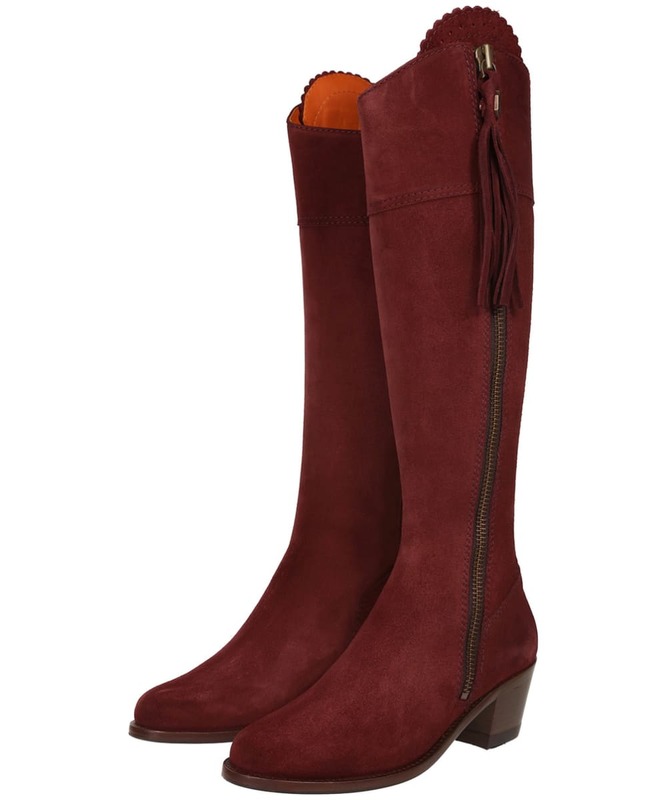 The Fairfax & Favor Regina boots are finished with a pair of signature suede or premium leather tassels, that can be interchanged with a pair from the brand's wide selection of coloured and textured tassels to match your outfit!